Our experienced staff have expert technical knowledge and experience, and work in close collaboration with manufacturers and suppliers. With an average of 10 years services experience, the knowledge and experience of our staff exceed client expectations and differentiate us as the market leader in equipment management and rental solutions. With more than 1000 different types of equipment and an asset register comprising more than 30,000 individual items, our hire fleet offers the full spectrum of specialist tools for every discipline involved in offshore oil and gas maintenance, modifications, hook-up and decommissioning. We continuously monitor the performance, condition and safety of our equipment to ensure nothing but the highest standards for our clients. The health and safety of our employees, the safety and quality of the product and service we provide and the protection of the environment is of vital importance to SES. Our safety, health, environmental and quality management system is externally assessed and certified to OHSAS 18001:2007, ISO 14001:2004 and ISO 9001:2008 standards by SGS United Kingdom Accreditation body. Most recently, the System Certification for Health and Safety Management Systems OHSAS 18001:2007 - a real milestone and differentiating us from the competition in terms of the level of compliance required. 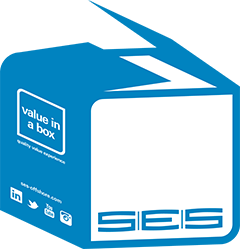 There's far more to SES than equipment hire alone. We are committed to adding value to every one of our contracts with a focused and proactive customer care programme that delivers inspired, individually-tailored equipment management solutions. By getting close to your business and understanding the particular issues and goals of your project or maintenance campaign, we can help you increase productivity, reduce production downtime and realise significant operational savings.